Any time is a good time to receive this perfect choice of gourmet yummy treats. 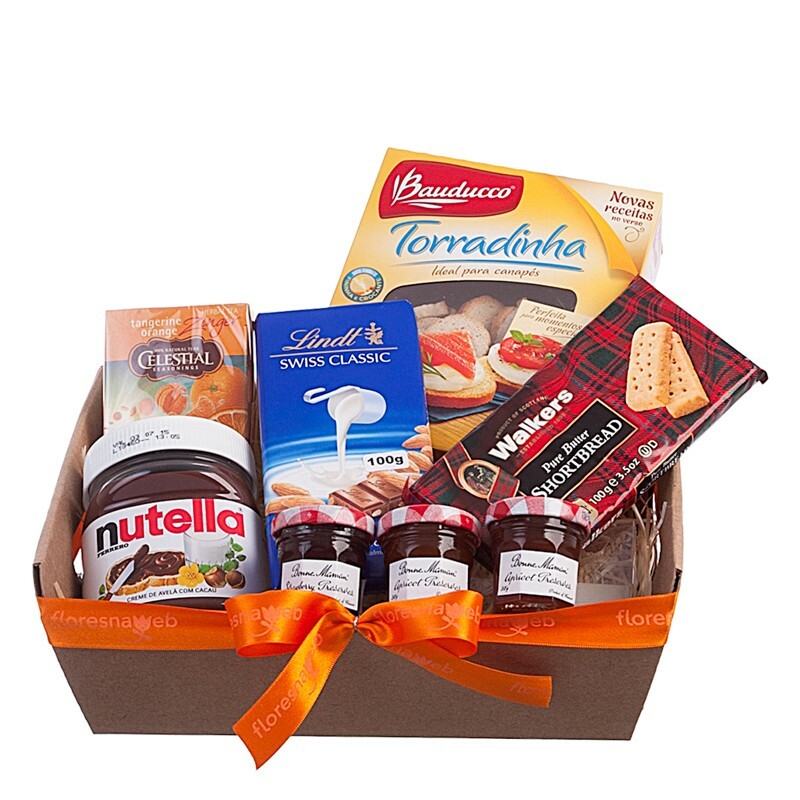 The Big Flavors gift Basket includes Nutella, Lindt Chocolate, Scottish Shortbreads, Bonne Maman jam, Celestial Seasoning Tea and crunchy melba toast. In case any of the above products are unavailable we will substitute for a similar product of the same or greater value and quality. Rest assured your gift will be a success.